This is a piece that I wrote a while back. I really liked it, and I thought that maybe someone else would too. Sorry about the odd spacing. I just don’t understand WordPress sometimes. I believe that beauty is inherent in the majority of the written language that we use. Most of the instances that come to my mind come from fishing books. Perhaps this is because of my own affinity for fishing, or maybe it is because of the spiritual nexus that comes together when fishing, fisherman, water, and nature meet. The beauty does not even have to come from erudite language that moves circuitously through meaning like a winding mountain stream. Henry Winkler’s (yes, the Fonz) writing perhaps best demonstrates the beauty in simple language. Winkler’s writing is not flowery or abounding with complicated words or phrases (the word with the most syllables—four—is “labradoodle”). It is simplistic and colloquial. Yet, his voice and style of writing (which is always conversational) shines in his prose with his joke about the labradoodle, and readers can feel his deep respect and admiration for the fish. There is almost a breezy beauty in the passage, particularly when Winkler writes, “It’s about sharing a moment in time with a wild creature, feeling its power and merging with its life force for just a brief period.” Not only is there a sense of vulnerable honesty in the sentence, but many fishermen (including this fisherwoman) can identify with Winkler’s sentiments. In that moment when the fish connects with your line, you can feel the power of the animal. Even when the fish is no bigger than a tube of lipstick, you feel admiration for the little creature fighting so hard for life. Despite Winkler’s easy, conversational tone, and the simplistic beauty of his sentences and descriptions, I realize that the crafting of such sentences was most likely anything but easy for Winkler. Creating simple, effective, and clean sentences that convey meaning, and even truth, is oftentimes difficult for writers. However, Winkler has another challenge that he faces each time he puts word to paper—his dyslexia. How seemingly contradictory it is for a dyslexic person to be a professional writer; and yet, Winkler has written (not ghostwritten) several children’s books in addition to I’ve Never Met an Idiot on the River. Why does a dyslexic person choose such a career though? The question is not thoroughly addressed in I’ve Never Met an Idiot on the River. Winkler treats his writing career as a personal triumph and proof to his teachers and parents (whose pet name for him was “dumb dog” in German) that he is not dumb, nor is he a waste. Perhaps this “oh yeah” moment was what originally drew him to writing. However, I hypothesize that there is another underlying reason—I believe that Winkler recognizes and understands the beauty of language. I should explain what I mean by “beauty.” There is an aspect of physical beauty—perhaps the words look “pretty” on the page. Authors, such as Ben Fountain (who wrote Billy Lynn’s Long Halftime Walk—a finalist for the National Book Award), play with the spacing of words to create feelings and meanings within a text (“Billy”). This spacing can be beautiful. Maclean knows how to make his words sing with rhythm. His description of all that he is surrounded by in the canyon slows with his multiple phrases and long sentence. Time is unhurried for Maclean in that moment as he feels everything inside of him melt and mesh with everything that has been and is. The reader can feel this slowing and can feel the melancholy in Maclean as he fishes and lives alone. The second paragraph is also rhythmically beautiful. The words sound soft and mimic the flow of a river. It is almost as if Maclean has written poetry into prose. Then, the last sentence in the final paragraph (indeed the sentence is the final paragraph) continues with the soft sounds by avoiding hard consonants, and the soft, short sentence haunts the reader just as Maclean is haunted. In addition to sound and rhythm contributing to the beauty of language is the meaning behind the language. Again, the above passage from Maclean is an excellent example of beautiful meaning behind the words. Without meaning in prose (this does not necessarily stand for poetry), it is difficult to have beauty. The meaning allows the reader to connect with the author—to feel his emotions coursing through his own veins and heart. When the text comes alive in this way, beauty is created through language. Many people can connect with Maclean being unable to forget all those in his life who have now been taken by death. Like Maclean, those of us who have lost someone are also “haunted by waters.” Surely, in this connection created by language and meaning, there is beauty. Whether it is through the relatively simple language of Henry Winkler, or the poetic prose of Norman Maclean, language can convey beauty through aesthetics, sound, rhythm, meaning, and connection with the reader. Fishing may simply be the vessel for the aforementioned two writers’ words and stories. 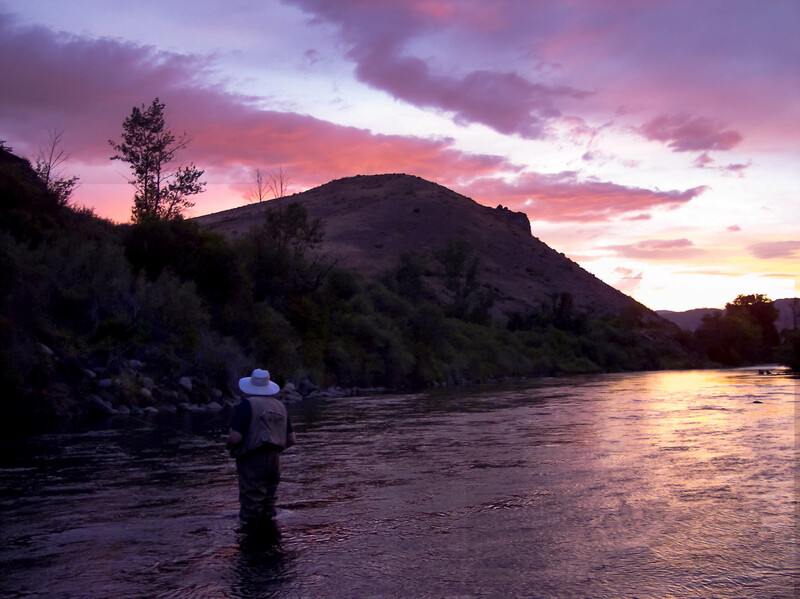 Indeed, the beauty of an art, such as fly fishing, may beg for the beauty of language. “Billy Lynn’s Long Halftime Walk: A Novel.” Barnes&Noble. N.p., 2014. Web. Sept. 14. http://www.barnesandnoble.com/w/billy-lynns-long-halftime-walk-ben-fountain/1106580295?ean=9780060885618&gt. Fountain, Ben. Billy Lynn’s Long Halftime Walk: A Novel. New York: HarperCollins, 2012. Print. Maclean, Norman. A River Runs Through It and Other Stories. Chicago: University of Chicago Press, 1976. Print. Winkler, Henry. I’ve Never Met an Idiot on the River. San Rafael: Insight Editions, 2011. Print. I had no idea that Winkler was a fisher or that he was dyslexic. I’ll look for his book. It’s really worth the read. It’s quick, easy, and has some beautiful photography in it. Huh, that’s weird. Okay, I’ve sent it again. Hopefully, it works this time.